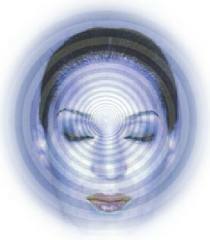 Hypnotherapy is a type of psychotherapy. It is based on the fact that mind and body can not work separately. During hypnotherapy, Patient is sent in a hypnotic state (a natural trance state) to stimulate the subconscious self healing process of body. Hypnotherapists, by using exercises brings about deep relaxation and altered state of consciousness - a natural trance state, where body and mind becomes more relaxed and thoughts becomes more focused and highly responsive to suggestion. The instructions, suggestion of lifestyle adaptation given by therapist, during the hypnotic state; are greatly accepted by the person. Thus with hypnosis desired changes in the person’s behavior, with positive mental and physical well being is achieved. Hypnosis helps to eliminate irrational fears, phobias, negativity by overcoming the suppressed emotions. De-addiction- Smoking, Drugs, Alcohol etc.